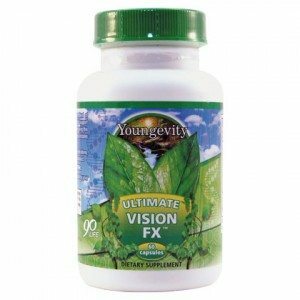 Ultimate™ Vision Fx™ is formulated to support healthy eye function. It features a proprietary blend of Vitamin A (as beta carotene), Vitamin C, Vitamin E, Zinc, Selenium, Chromium, Lutein, and Co-enzyme Q10. For best results, use Ultimate™ Vision Fx™ as part of a full nutritional program that also includes Ultimate Classic® and Ultimate EFA™. DIRECTIONS: Take 2 capsules daily, or as directed by your healthcare practitioner. WARNING: If you are pregnant, nursing or taking medications, seek the advice of your healthcare professional before taking this product. KEEP OUT OF THE REACH OF CHILDREN.